Tokyo-born Reiko Watanabe, widely praised for her brilliant technique and expressive playing, was at 15 the youngest grand prizewinner in the history of the all Japan Music Competition. Since then she has gone to capture top honors at several other prestigious international competitions, including the Paganini, G.B.Viotti, resulting in engagements throughout the United States, Europe and Japan. She obtained her bachelor’s and master’s degrees, as a student of Joseph Fuchs at The Juilliard School, and studied chamber music with S.Rose, J.Lateiner, F.Galimir. She also took masterclasses of N. Milstein and J.Gingold. After Juilliard, she studied with I.Stern. Her American appearances include performances with the National Symphony Orchestra, LA Philharmonic, Vancouver Symphony and St Louis Symphony among many others. In Europe she appeared with orchestras such as Philharmonia Orchestra, BBC Symphony, Orchestra Philharmonic de Radio France, Hamburg Philharmonic, Dresden Staatskapelle, Bamberg Symphony, Tonkünstler Orchestra and St. Petersburg Symphony. Also she toured in Japan as a soloist with numerous renowned orchestras including the Gothenburg Symphony with N.Järvi, Oslo Philharmonic with M.Jansons, Berlin Radio Symphony Orchestra with V. Ashkenazy, BBC Symphony with A. Davis. 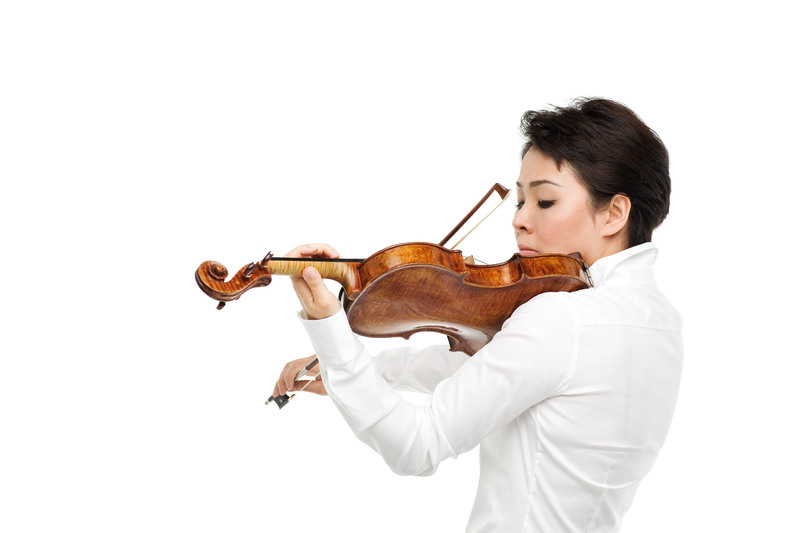 She appears regularly in Japan as a recitalist and a concerto soloist with renowned venues and orchestras such as NHK Symphony Orchestra, Tokyo Metropolitan Orchestra, Japan Philharmonic Orchestra, Tokyo Philharmonic Orchestra to name a few. She also performs actively in Asia, including recitals in Taiwan and concerto appearances in China with the Hong Kong Philharmonic and Wuhan Symphony, in Singapore at “Japan Art Week” with Tokyo City Philharmonic Orchestra. In 2009 she appeared as a soloist with the Hong Kong Sinfonietta at the “La Folle Journée” Festival in Tokyo. Reiko Watanabe actively performs works of contemporary composers. She performed all 6 Tokuhide Niimi’s violin pieces in one evening in Tokyo and also premiered his Second Concerto; both live performances were recorded and released under Camerata label. In Milan and Ravenna she was invited to perform Giovanni Allevi's violin concerto. Her interest to collaborate with ballet and contemporary dance groups led her to two performances with “Noism” at Kennedy Center in Washington, DC in 2012. As a recording artist, her debut album was the live recording of Berg's Violin Concerto and his rarely performed Chamber Concerto for Violin, Piano and 13 Winds, with Dresden Staatskapelle and the late Giuseppe Sinopoli on the Teldec Label. Subsequently she recorded Tchaikovsky and Shostakovich Concertos with St. Petersburg Symphony Orchestra and conductor Alexander Demitriev. She also recorded under Warner Music, Avex, and Fontec labels. Besides her busy concert appearances, in 2004, she began a series of lectures in English on “Music and Performance” at Akita International University as a select professor. In this course, she invites renowned Japanese contemporary composers such as Akira Nishimura and Somei Satoh. In 2005, for her continued excellence in performances, she was awarded prestigious “Exxon Mobile Music Award” in Japan. Reiko Watanabe performs on the Guarneri del Gesu 1736 violin ‘Muntz’, kindly loaned by the Nippon Music Foundation.